As a landscape photographer, there are very few things that get me as excited as seeing my favorite weather app light up with a frost warning for the coming morning. 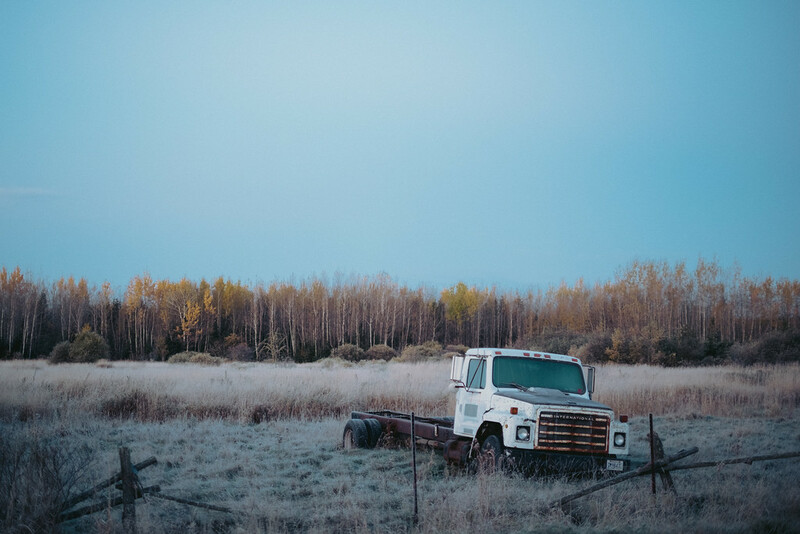 Here in Northern Minnesota it’s not totally uncommon once fall and winter roll around, but without fail the days with the best frost and light tend to fall on days when I have to be up and at work early, unable to take advantage of the magical weather conditions. But on the rare occasions when the stars align and I can get out shooting on a frosty morning, it’s like being a kid in a candy store. 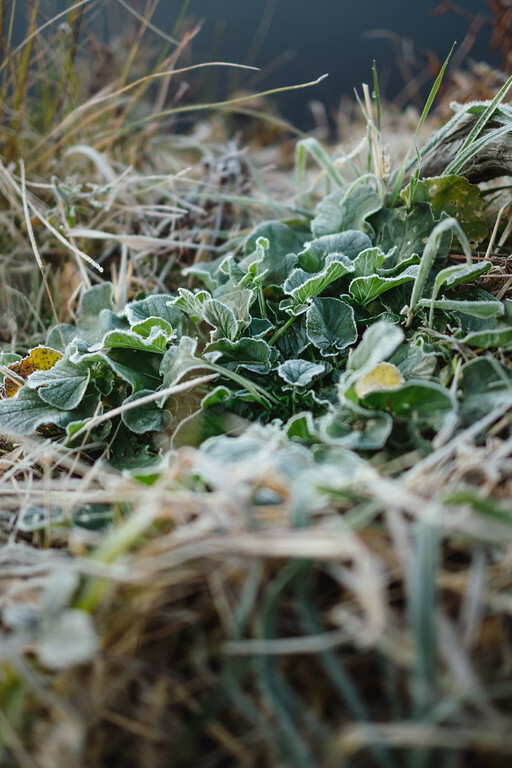 Sometimes it can almost feel overwhelming to the point of not being sure where to point your camera, your only instinct being to simply point your camera at the first frost covered leaves and grass you see and start snapping away. That approach usually doesn’t lend itself to a final outcome filled with great “Keeper” images however, so this week I want to take a few minutes and talk about nine great tips to keep in mind when you get a chance to get out and enjoy a frosty morning. One last thing before we dive in, remember to pay attention to the kind of frost you are working with. The tips and images in this post are dealing with a mid-autumn frost in which the colors and textures are still vibrant, snow hasn’t covered the landscape yet. But sometimes you get that heavy hoar frost with the foggy mist conditions, steely blue-gray skies and cool mellow tones as far as the eye can see. Those days require a slightly different approach since there is no beautiful sunrise light dancing through your images, rather it’s the giant soft lighting as the sun is buried behind the mist and the fog wrapping the land in a hushed blanket of frosty stillness. If you want to see more about what I mean for those conditions, check out this post from last February I wrote. It includes a video I made for my YouTube channel along with a whole bunch of fantastic images! Hoar Frost for Days. Right then, on to the tips and the images! Scouting – This is where paying attention as you are out the rest of the year and keeping an idea journal can be a lifesaver. The last thing you want is to wake up to those ideal frosty conditions and waste your time trying to figure out where and what to shoot. Make notes of locations that offer a good mix of interesting light and strong compositions that will only be enhanced by the subtle frost covering. Work on a theme/story – Since you’ve already planned for a location idea, you can now put your attention on a specific theme or story that you want your images to tell. Trust me, your photos will have a much more consistent feel and you’ll come home with a series of photos that actually make sense. 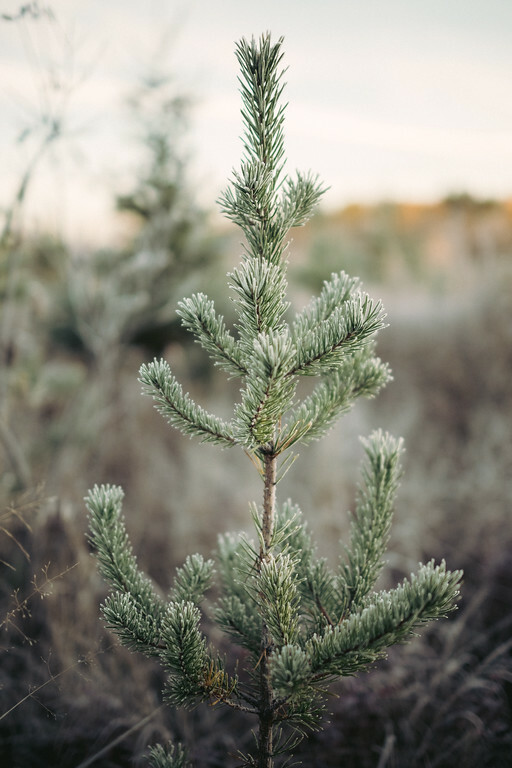 Don’t get stuck on the details – It’s so easy to get wrapped up in shooting macro photos of the mesmerizing frost details as they coat the grass, trees and leaves. 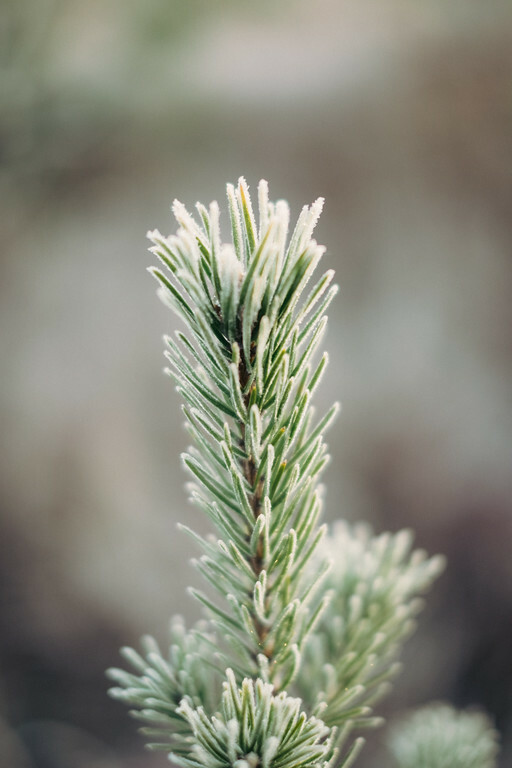 Don’t forget to include a variety of photos, from wide angle full landscapes to the macro details of the frost, it’ll give you a more interesting emotional flow through the images. Rather than just being a set of pretty frost macros, you’ll have a story to share. 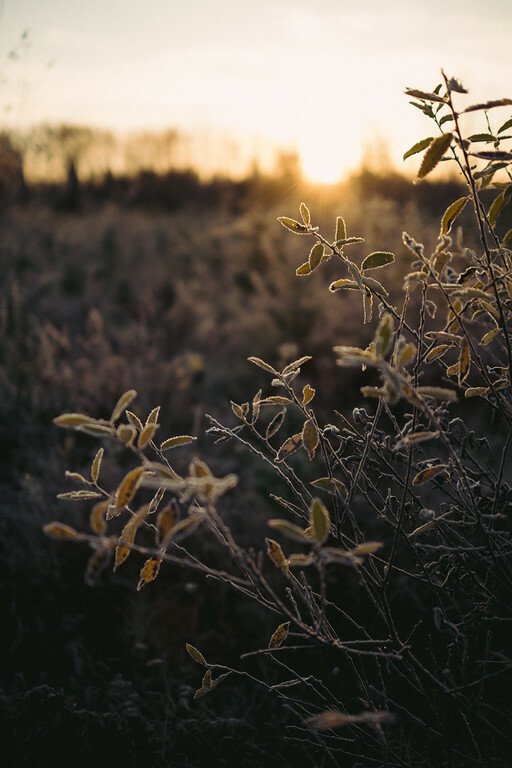 Backlighting – As with anything in photography there are never any rules set in stone, but to allow that frost to really shine look for compositions in which you can use that rising sun as a beautiful golden backlight. 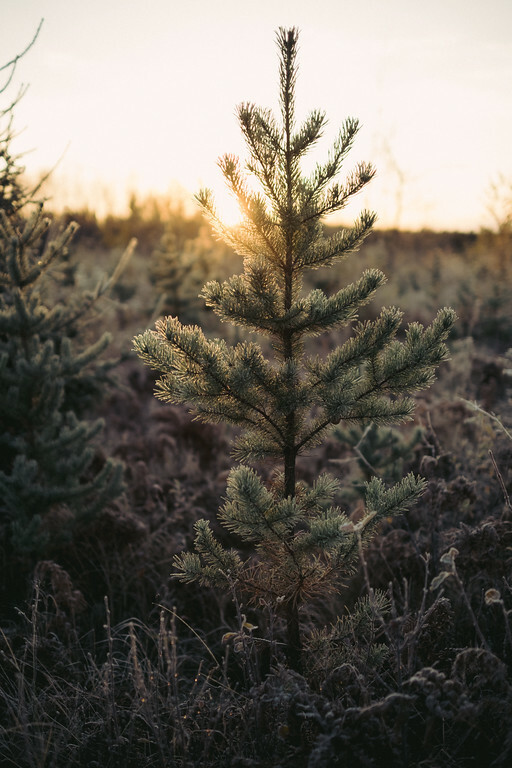 It can really make those frosted edges pop AND that golden light in a backlit situation can also help create some amazing atmospheric, soft colors and tones in your imagery. Especially if you let the highlights slightly over expose, don’t worry, it’s ok. I promise. Shadows – I know for many landscape photographers(well except me because I have a fairly strong dislike of it) it’s common to used bracket exposures to create HDR(High Dynamic Range) images. The idea is to make sure everything, from the brightest highlights to the darkest shadows, all have detail. I don’t like it, dark shadows and bright highlights are not a bad thing. If you use HDR, skip it when you are shooting in frosty conditions. In many ways you need those rich shadows to help accentuate that delicate frost, so when looking at the light and framing your scene be sure to pay attention to and use fully those rich shadows to complement those soft golden highlights. Composition – Remember, just because the light is great and you have frost covering everything, a strong composition is still one of the most important ingredients for creating a great image. 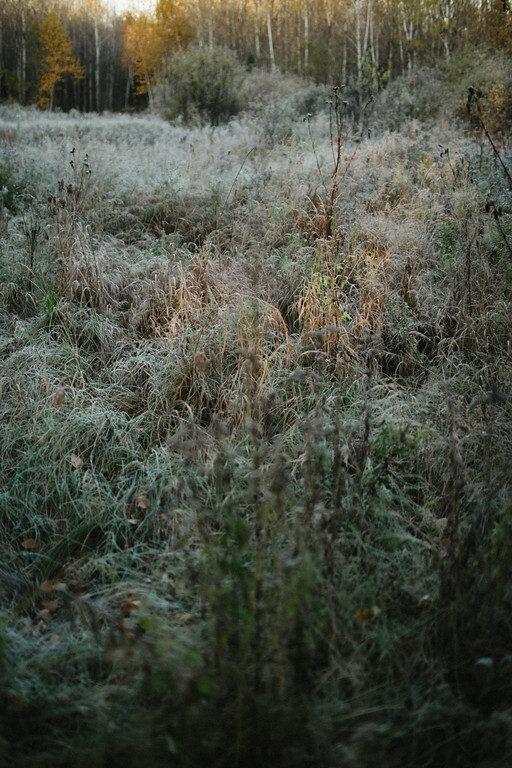 Don’t get distracted by the light, shadows and frost…mind your compositions. Speed – Both sunrise and those frosty conditions disappear quickly. The higher the sun rises, the faster it touches the frost and burns it off your landscape. Which means that you need to remember to work quickly and efficiently if you want to maximize your morning. This is where planning ahead makes or breaks your day. 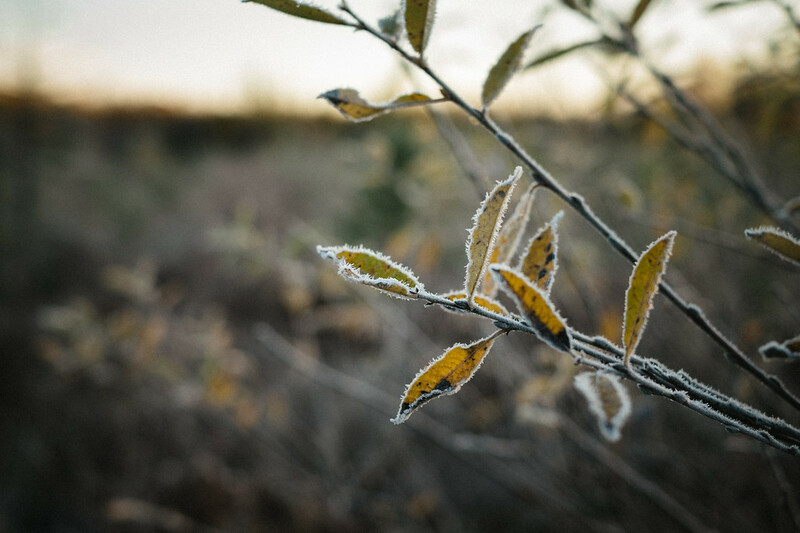 Delicate Balance – Touch that frosted leaf. See how quickly the frost disappears under the warmth of your hand? 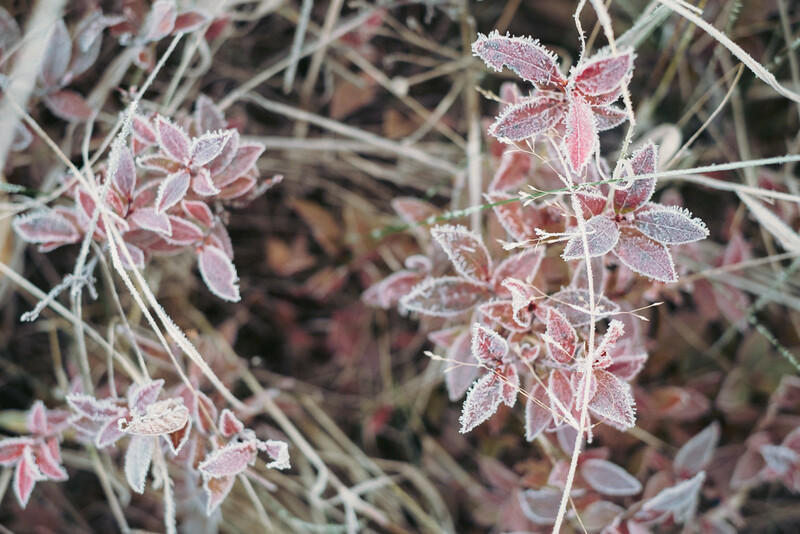 Frost is delicate, so treat your edits accordingly. Like I already said, in my opinion frosty sunrise photographs are not the best place to use heavy editing tactics such as HDR or other intense editing techniques. 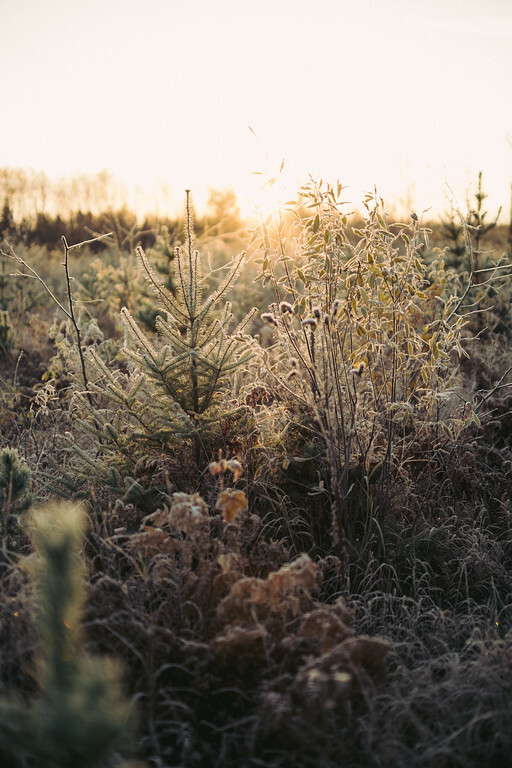 Frosty mornings by nature are very quiet and still moments in nature. Let your post processing reflect that and enhance it, keeping your focus on strong color and natural tonal ranges to enhance that peaceful feeling. Enjoy It – Remember, anytime you are out making photographs, the goal is to enjoy the process. You’re photos will turn out better when you are invested in and enjoying the scene you find yourself standing in as you photograph, so take time as you are shooting to soak in the natural beauty and remember it with your own eyes, not just through the lens of your camera. I know I just said to work quickly, but there is always enough time to just take in a scene and enjoy it for what it is. 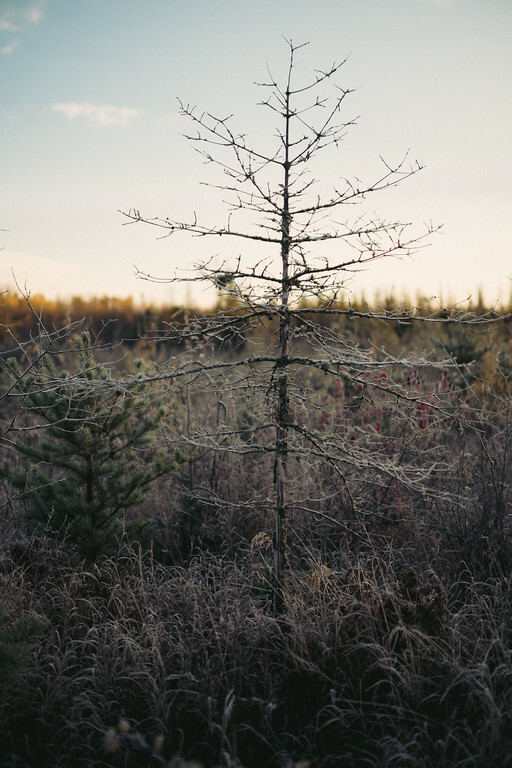 All photos created with a Fujifilm X-T10 and the Fujifilm XF35mm f/1.4 lens while using a Vanguard AltaPro 263AT tripod. Images processed in Adobe Lightroom Classic using Rebecca Lily Premium Color Grading Pro Set IV tools. 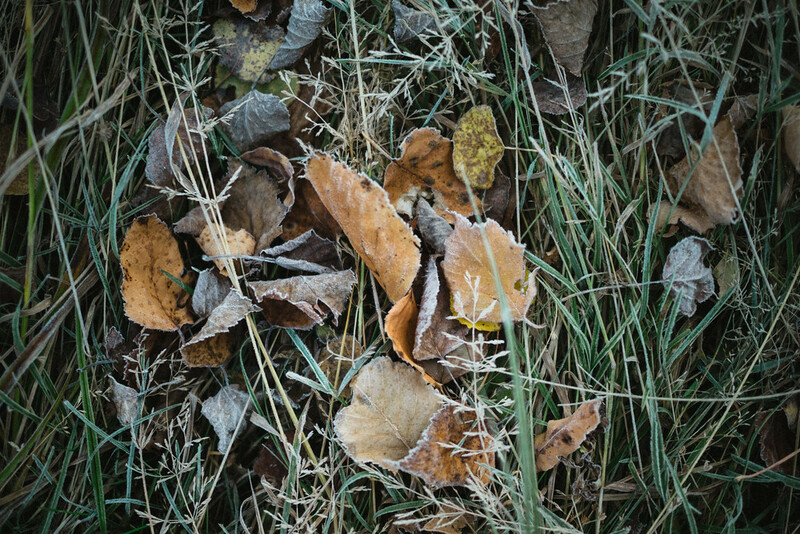 Photo’s created on a frosty morning mid October in North Eastern MN. I am not paid or sponsored by any of these companies, it’s just gear and tools that I use and love. If you like my work you may like these tools as well. If you reach out to any of them please do let them know you heard about them from me and share the link to this post with them.